There is a big chance you’ve read lots of blog posts, less or more academic regarding how to write a research paper almost in a matter of hours. If you are willing to read one more article like that, you can skip this entry, because we are not going to lie to you. 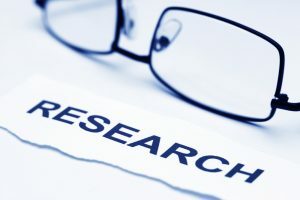 Writing a research paper, especially a good one is not a piece of cake, and it is better not to get trapped by the basic hazards and myths surrounding the process. Make sure to find at least something that truly interests you about the topic you research. Personal touch never harms. We have seen it all, we have communicated with almost any types of students ordering papers online, and we have realized, that most of them got in trouble being enchanted by these myths. Myth #1. You can write a research paper over a night. Not all of our highly professional and very experienced academic writers are able to deal with this task so fast, not because they lack energy or professionalism, but because you physically need much more time to collect all the information needed, analyze it and turn the raw analysis into some valid and comprehensive conclusions. Don’t think you have all the time of the world to deal with this assignment, because in fact you don’t, and every day you lose might cause a disaster in terms of the final grade for this assignment. Myth #2. Everything you need can be found online. For some papers, it might be true, but the more complicated the task is, the more time you will have to spend in the library and analyzing your notes. Information online is tricky, because it is often too much and not enough at the same time. Make sure to use the most valid sources instead of using the most easily accessible ones. Myth #3. The originality matters more than analysis itself. It is a new trend, and we can’t start telling you how many people got burned on following this harmful myth. Creative writing is not an excuse to present your professor with a badly written paper. Your idea, your thesis statement might be original, but you should focus on the quality of your research. Many students get appalled, that their peers cover much less interesting topics but receive better grades. Your college or university is not a writing camp or a NaNoWriMo organization. You will be graded according to the grading rubric, which you should study meticulously, before you start writing. But it is another point to unveil. Myth #4. Grading rubrics are approximate. Of course, your professor is not a machine, and he or she might see the grading rubric his or her own way, but it doesn’t mean it will anyhow make it easier for you. Your task here is to read it more than twice and better to make some notes, so you follow at least the major demands. Once you are done with writing, please check yourself again. Discuss a chosen topic with your professor or advisor, and if you are not satisfied with it, feel free to state it, explain your reasons and change it. You might feel reluctant to go into trouble and do so now, but it will save you from frustration. Write a plan before you start writing a paper itself. In fact, you need two plans. One covers the topic another covers your writing process. Don’t be too hopeful about your abilities to deal with everything very fast and to work without any distractions. It is better to be careful with plans, this way you will always have some room for maneuver. Once you are done with the plan, make a “skeleton” of the paper more “mighty”. It means that you should broaden your outline, write down the key ideas each part, each chapter should include. You can also include some references from the very beginning. This way you will have an understanding of the whole structure. Write down all references you find, even if you are not sure you will use all of them. Don’t forget about the links and the additional information, such as a number of edition, a source where the video is published, the date, the chapter, etc. When writing a research paper students often underestimate the amount of time they will need for formatting a “Work Cited” page. Use the most recent references if you want to impress your professor not to bore him or her to death. As your professor reads dozens of similar papers, you should pay the utmost attention to finding some new sources and fresh ideas to make your research engaging. Send a final draft earlier than asked, and ask if your professor have some time to advise you on whether there is something more to be done. Most often professors appreciate your concerns and may give some valuable tips which you will have time to apply and increase your final score. Write down all the “extras” mentioned by your professor and even if you don’t have time or don’t find it possible to use them now, use them in the next paper you are assigned with. Trust us, it really works in your favor. Writing a research paper requires concentration, time, energy and diligency. You might lack some of these, as most of the students do, but you should try to compensate the lack of time, for example, with more diligent organization. There is always a balance, and we hope you will be able to find the one, which is the most efficient for you. Good luck with writing your own research paper!